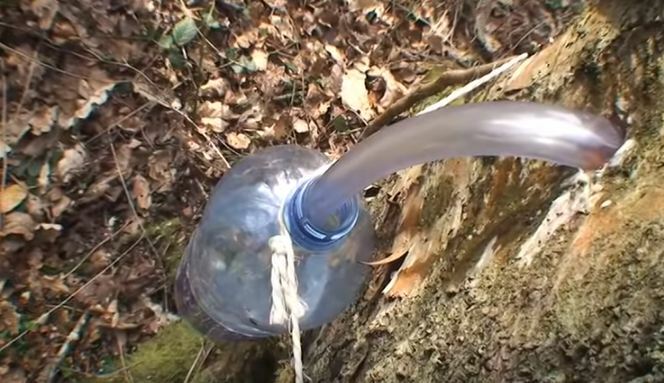 One of the biggest dangers of wilderness survival is the threat of dehydration. Finding clean water is extremely difficult; you can't just dunk your head in a stream and start drinking. To solve this problem, you could either carry iodine tablets, bleach, a filtration system or a container for boiling water. If you have none of these things, you will have to rely on your knowledge of the flora to get you through the day. That's where this trick comes in. In the early spring, when all of the trees are beginning to come back to life, water starts flowing through them again. With trees in the birch family, you can use this knowledge to not only quench your thirst but to restore some much-needed vitamins and minerals. Learn how on the next page.